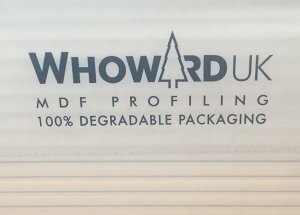 After months of research and development, W.Howard is committing to play its part in reversing this trend, by switching all plastic wrapping to 100% biodegradable material KR-OXO, which degrades in the open air in as little as 60 days dependent upon formulation (a process that can be accelerated by ultra violet light, heat, oxygen and tearing). This will remove around 16 tonnes of non-biodegradable plastic from potentially ending up in landfill sites each year. This environmentally-friendly material will be used to wrap the outside of all W.Howard’s products as they are prepared for delivery, cutting the company’s carbon footprint while still ensuring all its products are completely safe and protected during transport. Simon Fleet, Group Commercial Director for W.Howard, says: “The building materials industry urgently needs to find new, greener ways of working to minimise its impact on the environment. We are proud to be leading the way in making the switch to an environmentally-friendly, biodegradable wrapping.